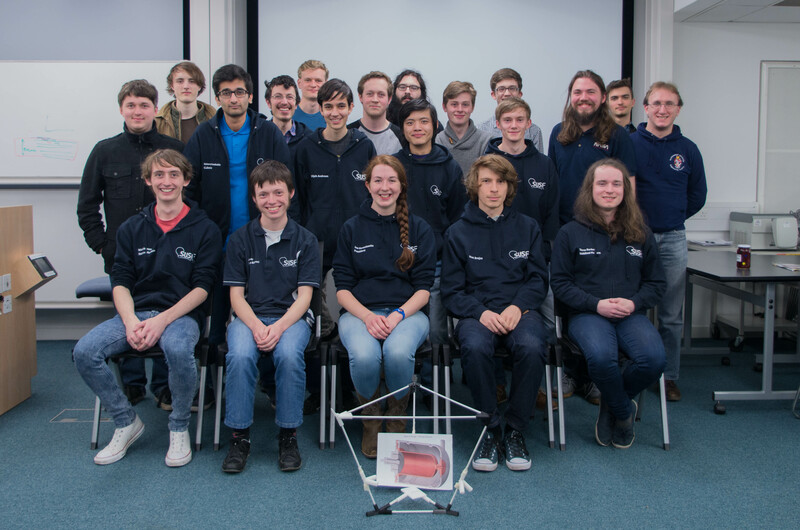 We are a team of students from University of Southampton Spaceflight Society (SUSF), working on a project to take photos of space from high altitudes. We’ll send a camera up on a weather balloon to around 100,000 feet (35km) where we can get pictures of the Milky Way galaxy, far better than can be achieved from the ground. We’ve designed and built a platform which uses spinning disks to stabilise the camera, allowing us to take long exposure photos with no image blur. We plan to launch near the end of June dependent upon weather and CAA approval (warning pilots of where our balloon will be). This project ties in with SUSF’s outreach activities at local schools, getting kids interested in space, science and engineering from an early age. Society photo from our recent jamboree. To make this exciting mission a reality, we need to raise £4500 to build the platform, buy a suitable camera and cover balloon launch costs. This is an extremely unique project, capturing images comparable to those taken by astronauts on the ISS while also being one of the first balloon launches at night in the UK. With additional funding above our goal we can include other GoPro cameras for more unique videos such as directly downwards showing the night time lights of England moving below the platform. We could also do additional launches aimed at capturing different photos, such as the Moon or Sun rising over the Earth's horizon. You can support us directly by donating, and every pound you donate will be matched by the University, effectively doubling your donation! That means your £10 donations will automatically become £20, which is then reflected in the total as we continue to fundraise for the project. Even without donating, you can help us reach our goal by sharing this project with anyone you think would like to support us, whether that be by Facebook, Twitter, or even in chats with colleagues and friends. Every bit of help is very much appreciated by everyone within the society! 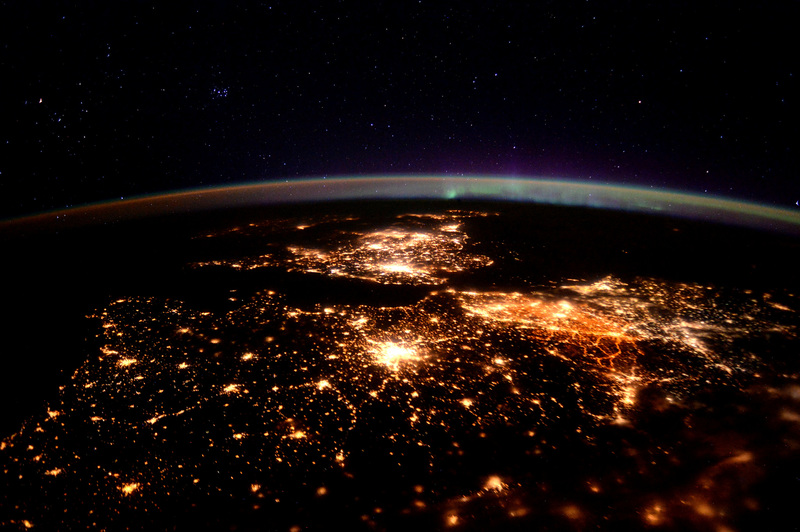 "Waving at Europe" taken by Tim Peake on board the ISS, giving an idea of the kind of images we will be able to capture, but from a lower altitude. As our balloon will be moving very slowly compared to the ISS, we will be able to take longer exposures, capturing even more stars in our photos. The camera (a Sony a7s II) and lens make up a major proportion of the cost of this project. 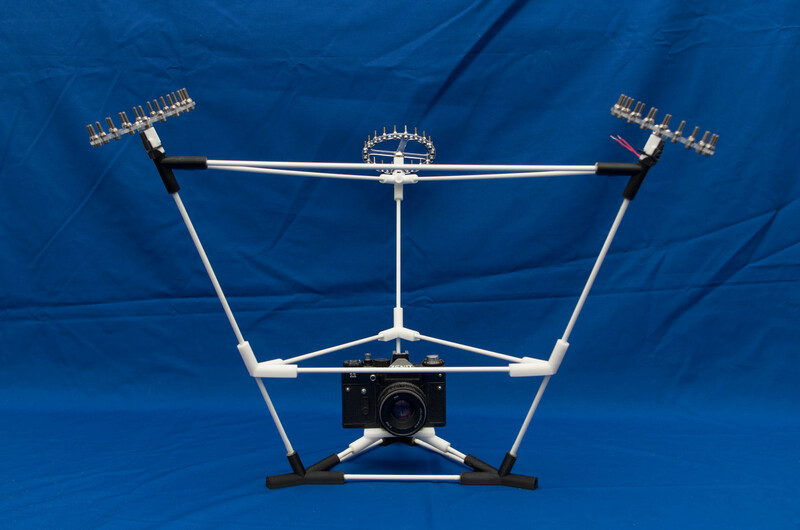 However, this model has extremely good low light performance (excellent for capturing the Milky Way) as well as 5-axis optical image stabilisation (reducing blur in the final image) making it the perfect choice for this project and will provide the best images from any commercially available option. Alongside this, as a mirrorless camera, it has a much lower weight compared to other options, actually reducing our launch costs and making it easier to point. We will be updating this page (follow to receive messages) as well as our twitter account with progress on the build and launch. You can also see some photos of our previous launches on our website and flickr account. We will personally thank you on social media as well as adding your name to our website's project page in the final write up. Get your name to the edge of space! We will put your name on the final payload. Access to all the raw photos and media we take during flight. While the final photo will be released to everybody, you will be given a link for access to all the raw photos without logos or editing for your own personal use. Get invited to our pre-launch event where you'll get to see the payload in person and the people who created it. Your logo (or photo) on the payload. We hope to create a lot of media interest and your logo will take pride of place upon the payload. Your logo on any publicly released media. With the final image being so unique, it is likely to attract a large number of views, along with your logo. One of the final images will also be released in a poster format with your logo taking pride of place alongside SUSF's.